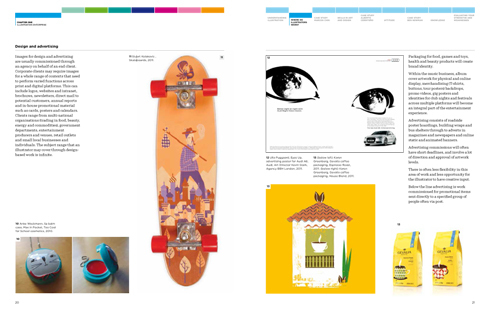 Exciting news about the new Creative Careers title for illustration students! What do illustrators want to see? 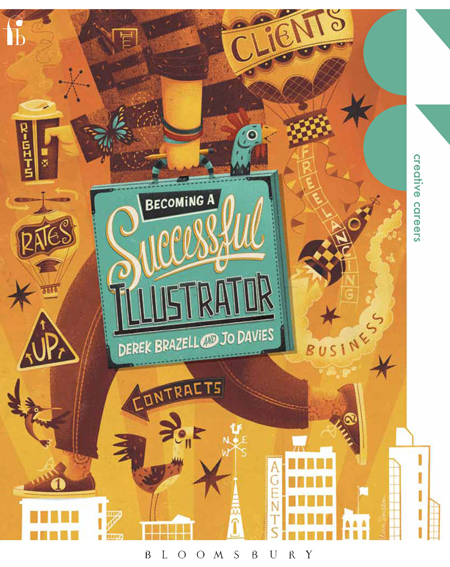 Great images of course, which is why Jo Davies and Derek Brazell, authors of the upcoming Becoming A Successful Illustrator, knew that an eye-catching cover was a must for their book. It’s testament to Steve’s skills that his artwork has been short-listed in the Book category for the prestigious Association of Illustrators Illustration Awards 2013. You can see the shortlist for book covers here. We hope you like it! There’s a lot of competition out there, so congratulations to Steve, and here’s hoping he goes all the way. You can see Steve’s process for the book cover here, including the initial pencil sketch, and more great work on his website. 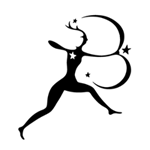 The book is the first title part of an AVA series to be rebranded under the new Fairchild Books imprint. It will be available from the Bloomsbury website when it publishes in June. You can sign up here to be notified when it’s available. 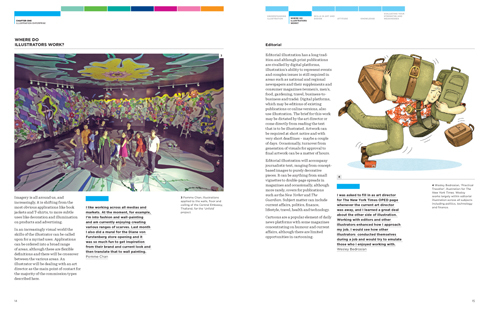 Illustration is a diverse and constantly evolving area of art and design and an appealing creative career. But to stand out from the crowd, successful illustrators need to combine creative talent with strong marketing and promotional skills – which might not always go naturally hand-in-hand. The idea behind this title is to provide practical and inspirational guidance on finding and contacting clients, putting together promotional materials and establishing yourself as a professional illustrator. 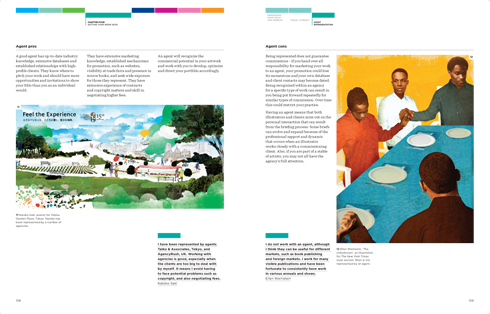 It includes case studies, firsthand tips and hints from practising illustrators at varying stages in their careers, and is packed with hundreds of beautiful examples of professional work. 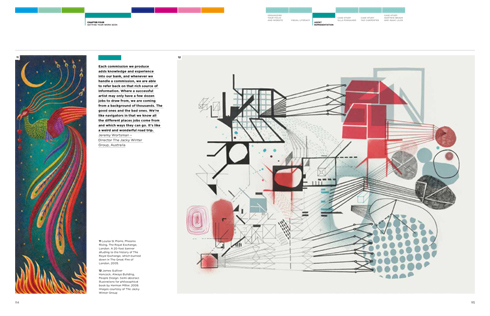 We’ve uploaded some spreads from the book below – enjoy!